AS I was wondering earlier, the carjacker victim speaks. Stupid writer making a note that his night sounded like a movie . Reality is nothing like a movie. Danny, who offered his account only on the condition that the Globe not reveal his Chinese name, said he does not want attention. But he suspects his full name may come out if and when he testifies against Dzhokhar Tsarnaev. ExPatriatePen wrote: LOL, my first thought is what would the police do if they saw muzzle flashes coming from your window. After you shoot, it might get interesting for you. Windows aren't ideal, of course (cos they're obvious), but you don't stick the gun out the window, you stay back in the room as far as you can and still have line-of-sight to the target. Preferably, this would all the way against the wall opposite the shoot window. Doing this also narrows the field of view of anyone attempting to identify your location. 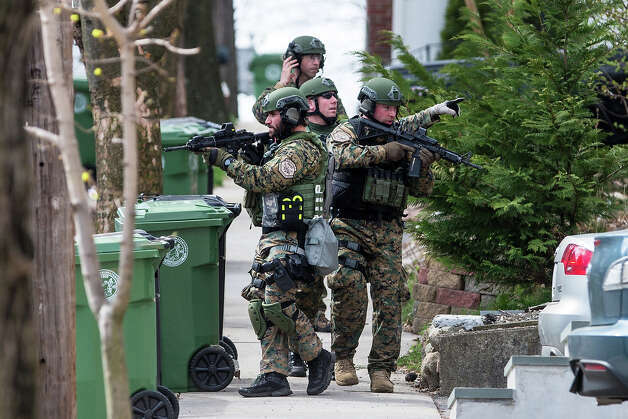 Given the situation - noise, confusion, etc - you might even be able to get off two or three shots without alerting the cops that fire is coming from a house. MRandall25 wrote: What if you missed? Aim better and take another shot. You'd have to be a dang good shot to hit them, probably 60 yards away, in the chest area. 300 AAC Blackout, SAAMI short name 300 BLK, also known as 7.62×35mm is a rifle cartridge developed in the United States and originally chambered in the M4 rifle. The 300 AAC Blackout fires a subsonic round which is quieter. 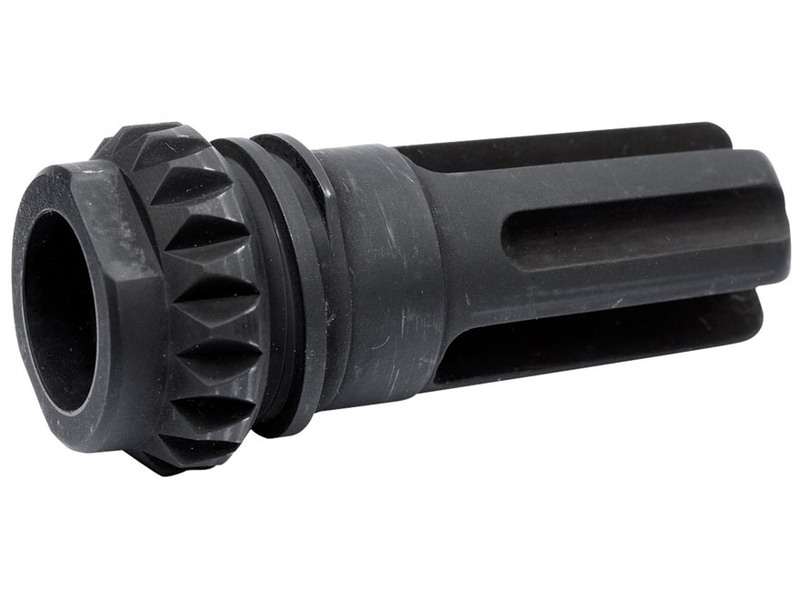 The Blackout flash suppressor is the most efficient design available. The proprietary features eliminate muzzle flash, even on CQB-length barrels. mac5155 wrote: You'd have to be a dang good shot to hit them, probably 60 yards away, in the chest area. at 60 yards, I would most certainly miss with a bow... with a aac blackout, a decent shooter would be able to put a tight grouping on them any where they wanted at 60 yards. Mom thinks bombs were fake and the blood was really paint and the boys didn't do anything. She lives in Russia right now. I doubt she'll be coming to the US anytime soon as per the article, she's wanted on 2012 felony charges of shoplifting and property damage in MA. Wait, wait... you mean the two psychopathically murderous children came from parents who are deranged losers? How shocking. I'm really curious as to what I would do if I was in this guy's position. I know for a fact that I would have my weapons near me at all times if I was in Watertown. Wonder what the ramifications would be of putting a .308 round in his dome piece from my attic? I believe you could make a pretty good argument that you were acting in self-defense. I reckon the call would go like this. All my years of CoD have prepared me for this one moment. I have the boston bombers in my sights, requesting permission to engage, over. Give the Globe all the Pulitzers, please. Take your time getting here officer, your fellow officers aren't in any danger. The bad guys were right across the street, maybe 15 yards away tops. The cops were the ones 60-75 yards down the block. When I was growing up my uncle wanted to take me bowhunting and so I got into archery. I became quite a good shot; I could put six arrows into a crabapple from 25 yards. So that's like a 3" group. So mechanically, making that shot isn't that big of a deal. Doing it under duress is another matter, of course. since1970 wrote: how long were the suspects there??? The timestamps on the photos indicate the engagement lasted ~10-11 minutes. My idea of a crabapple is not what you described. Maybe my crabapple tree had dwarf apples or something. Full size they were about 90% of the diameter of the palm of my hand. crabapples, gr8 for throwing at people you did not like. I wikipedia'd them, they can go from like a centimeter across up to a about 2.5 inches, so we're talking about the same thing. Mine were like the size of a nickel, and we would hit them with a wiffel ball bat at each other. Or just throw them at eachother. The sour candy of yore. KennyTheKangaroo wrote: crabapples, gr8 for throwing at people you did not like. We had one in my back yard. got the cops called on us for lobbing them over the privacy fence and hitting cars in my younger days. Had CNN on yesterday as background noise whilst assembling a bunch of IKEA furniture (everything Swedish can go eff itself, btw), and the anchor dude was talking to a network legal expert about the case. He asked her if there was any possibility of bringing charges against the dead brother. tifosi77 wrote: Had CNN on yesterday as background noise whilst assembling a bunch of IKEA furniture (everything Swedish can go eff itself, btw), and the anchor dude was talking to a network legal expert about the case. He asked her if there was any possibility of bringing charges against the dead brother. Did she respond with "Yes, they could. These charges could bury him 6 feet under." Kaizer alert...... are they wearing MARPAT utilities? the only difference between these guys and what we wore in the middle east is the helmet, which looks like the delta force thing, and the boots. the lighter colored bag on the guy in front's leg is a gas mask. Sounds like they were just run of the mill looters.